1Malaysia year end sale 2016 offers Designer wear discounts from Kuala Lumpur KLIA Sepang Mitsui outlet to Melaka Freeport A’Famosa Outlet, Alor Gajah and Design Village Outlet Mall, Penang, fashionistas will enjoy huge savings from designer brands from Givenchy, Prada, Fendi, Moschino, Versace, Viktor & Rolf to high street labels like Mango, Esprit, Levis' , Guess, Geox, Renoma, Adidas, Puma, Nike and more. 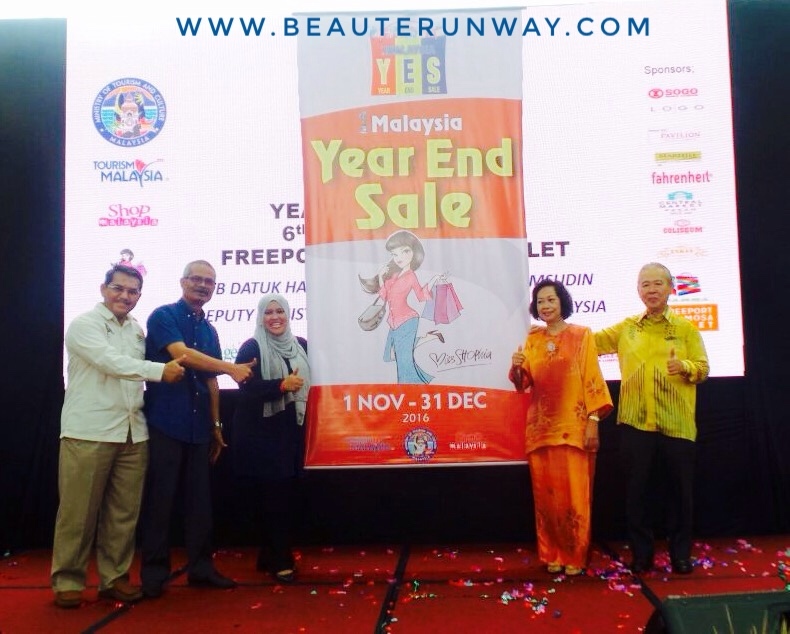 Deputy Minister of Tourism and Culture Malaysia Datuk Mas Ermieyati Samsudin officially launched 1Malaysia year end sale 2016 at Freeport Melaka A’Famosa Outlet, Alor Gajah together with Exco and State Representative from Melaka, Miss Shophia Shopping Secretariat, tourism industry players and retailers. Tourism Malaysia invited 32 key foreign media from Brunei Darussalam, China, Hong Kong, India, Indonesia, Republic of Mauritius, Singapore and Thailand to experience Tourism Experiential Shopping packages that enable shoppers to go on a shopping spree while enjoying Malaysia’s best cuisines, entertainment, leisure activities or visiting Malaysia tourist landmarks near Kuala Lumpur shopping malls. Kuala Lumpur, Malaysia is the World’s 5th Best Shopping Destination 2016 as voted by Expedia UK and 2nd World’s Top Shopping City based on the Muslim Travel Shopping Index 2015. 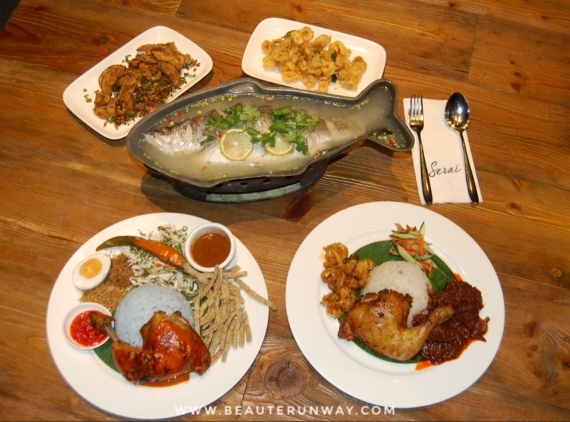 Malaysia is the ultimate Shopping one stop destination for all shoppers to experience Malaysia Tourism Experiential Shopping packages, explore Malaysia tourist attractions, enjoy Malaysia best cuisines and more. Most of the major shopping malls in Malaysia offers tourists privilege cards and rewards redemption for shopping. Shoppers and tourists will be excited by Malaysia Kuala Lumpur new shopping centres in Bukit Bintang like Pavilion Elite with Malaysia first COS store by H&M, LEGO Certified store with Pick-A-Brick Wall, Isetan Mitsukoshi concept store at Lot 10 - the very first Isetan concept shop outside Japan and Da Men Mall in Subang Jaya. Malaysia offers Duty free shopping at designer factory outlets including Johor Premium Outlet, Freeport A’Famosa Outlet Melaka, Mitsui Outlet Park KLIA Sepang, Genting Premium Outlets in Genting Highlands, Pahang and Design Village Outlet Mall Penang. Malaysia Shopping malls have lined up exciting entertainment events that promises lots of fun and adventure for shoppers to enjoy with their friends and families during Malaysia National Sales, Mega sale carnival and year end sale. Freeport A’Famosa Outlet Melaka is a Dutch theme heritage designed shopping outlet offering 100 international brands at up to 80% off. On weekends, watch the buskers entertain the shoppers as they wander through its extensive grounds with discount outlets retailing brands like Samsonite, Elle, Esprit, Crocs, Li Ning sportswear, Puma and Sembonia. Suria KLCC Malaysia, Kuala Lumpur with the iconic PETRONAS Towers is a top attraction for all visitors and tourists with award winning Mandarin Oriental Hotel and Traders Hotel in close vincity. 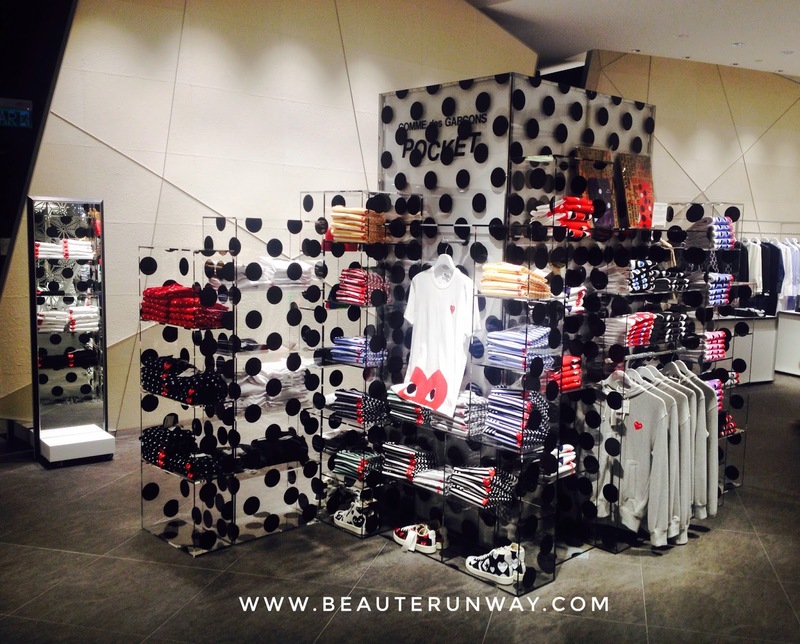 Shop at Chanel, Dior Homme, Dolce & Gabbana, Alexander McQueen, Giorgio Armani, Harrods, Farah Khan - brands exclusive to Suria KLCC. 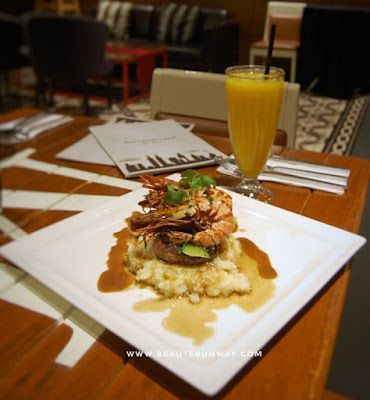 Pavilion Elite Kuala Lumpur and Pavilion Shopping mall at Bukit Bintang offers luxury brands to high street brands, wide selection of restaurants and Pavilion Golden Cinema for entertainment and leisure. 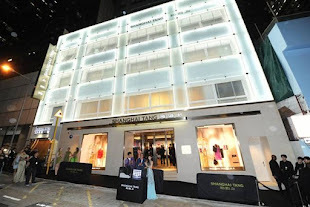 Winner of 34 local and international best retail awards, shop at Pavilion for exclusive brands like Cartier, Balenciaga, Loewe, MCM, Bao Bao Issey Miyake, Manolo Blahnik and Roger Vivier, COS and LEGO Certified store with Pick-A-Brick Wall. 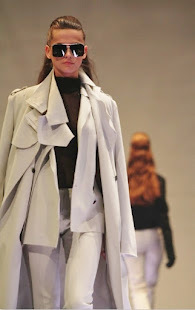 Fahrenheit 88 offers great style for less. Shop at Shoopen, South Korea's No. 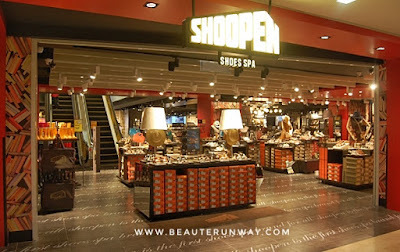 1 fast fashion shoes, bags and accessories brand, Shoes Gallery by Parkson, Uniqlo flagship store and Brands Outlet for great value. 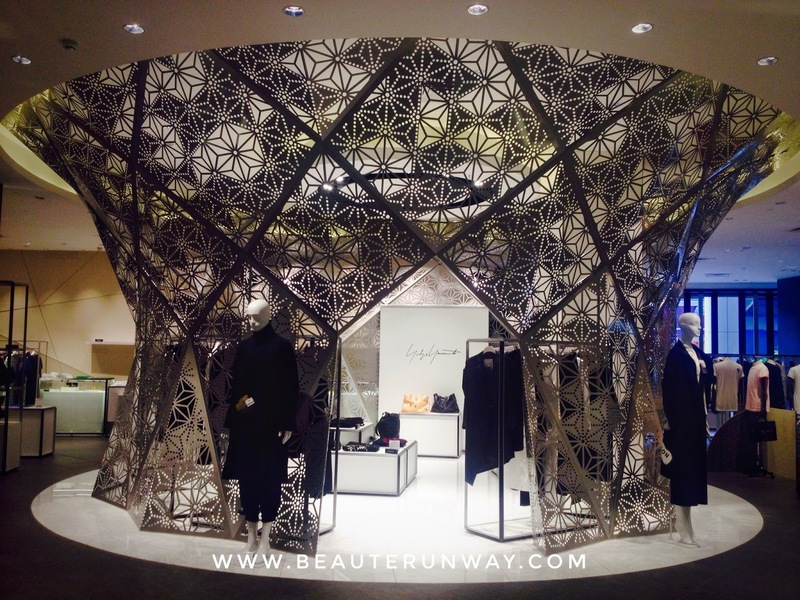 Isetan Malaysia Lot 10 recently unveiled the very first concept store outside Japan in the heart of Kuala Lumpur paying homage to Japanese fashion, food, beauty & home, arts & culture, academy and events. Yohji Yamamoto, Commes des garcons, Porter International Bags, Mastermind Japan, G-Shock, Seiko are some of the popular fashion brands and the basement level is dedicated to Japan dining from sushi, sashimi, tempura, handmade ramen, soba to soft fluffy Japanese bread and desserts. 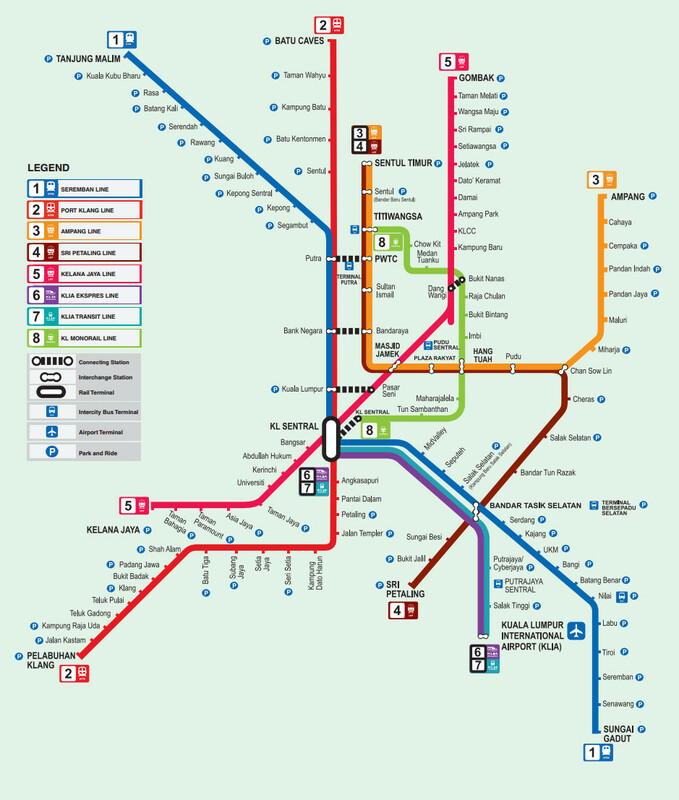 Sungai Wang Shopping centre is conveniently connected to AirAsia Bukit Bunting Monorail station and MRT direct access in 2017. 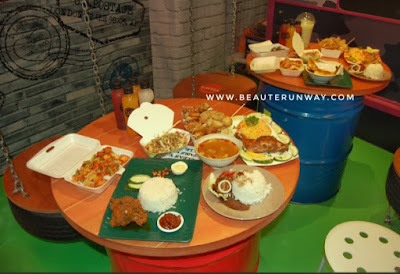 Shop at Sungai Wang with your whole family with its pocket friendly prices for great value in Bukit Bintang with one of the best money changer rates in Kuala Lumpur. Sungai Wang cultural street showcases Karyaneka, Malaysia handicrafts like authentic silver craft, batik , Malaysian products, souvenirs and gifts at Concourse level, affordable fashion trends, pampering services from facials, hair services, manicure and pedicure, toys, comics and hobbies street, FoodZania food trucks concept and more. 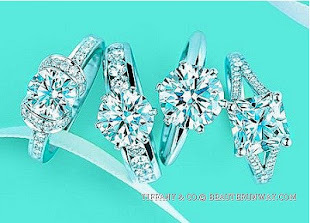 LOGO designer outlet is the ultimate fashion store with a curated selection of more than 500 international authentic designer fashion label with apparel, bags, shoes and accessories for Women, Mens and Kids. Located at Evolve Concept Mall, next to Ara Damasara LRT, LOGO keeps your day busy with its massive selection of seasonal designer fashion at attractive discounts. Take your picks from Givenchy, Fendi, Prada, Gucci, Isabel Marant, Michael Kors, Marc Jacobs Men, Peter Pilotto, Viktor & Rolf to name a few. Mitsui Outlet near KLIA Airport offers Japanese Art, Culture, Music and Culinary Delights at Japanese Specialty Store (Japan Avenue) as well as international and local brands selections at attractive discounts. Popular brands include Bally, DVF, Ermenegildo Zegna, Hugo Boss, Moschino, Porsche, SuperDry, Mango outlet, Guess collection, Esprit, Timberland, FJ Benjamin, outlet by Club21. 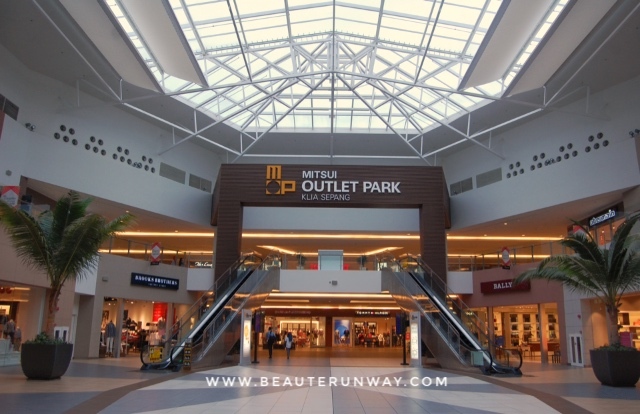 Mitsui Outlet guest services includes flight check in kiosks, website check in services, flight information display system, free shuttle bus services to and from KLIA and KLIA2 and free baggage storage to ensure a hassle free shopping experience. Visit Malaysia now to experience the extensive tourism offerings, enjoy great savings shopping in Kuala Lumpur and beyond during 1Malaysia Year End Sale 2016 where participating retailers and malls entice shoppers with attractive bargains and exciting reward programmes from now till 31 December. The inaugural Singapore Golden Week 2016 with UnionPay as official payment card was launched at the UnionPay Golden Lounge located at ION Orchard, official shopping mall partner in the heart of Orchard by Singapore Retailers Association. Inline with the celebration of Golden Week, the highly anticipated week-long national holiday in China in October, Singapore Golden Week aim to heighten the appeal of Singapore as a choice lifestyle destination for locals and tourists. Singapore Golden Week 2016 focused on creating a series of “Golden Moments” for locals and travellers with UnionPay cards to enjoy Golden Moments with Golden Retail Privileges, Golden Sure-Win Rewards and Golden Pampering Lounge from 30 September to 16 October. UnionPay Cardholders will enjoy exclusive discounts as well as gifts with purchase at over 200 participating outlets across retail, food and beverage, beauty and wellness, hotels and attractions categories, including department stores Isetan Scotts, Metro and Robinsons; brands from Club21, Dockers, Dorothy Perkins, Karen Millen, Levi’s, T.M.Lewin, Topshop, Topman, Warehouse to name a few. UnionPay Golden Lounge welcome all UnionPay cardholders to enjoy pampering experiences like sipping gourmet “Gold Brew” coffee sprinkled with edible gold dust while relaxing on OSIM massage chairs, shopping reward redemption and engaging in contests to win shopping vouchers and prizes worth S$10,000, with minimum spending of S$50 in a single receipt. UnionPay shoppers at ION Orchard will enjoy double chances for Golden Sure-Win Rewards game. ION Orchard celebrates the inaugural Golden week with the unveiling of its Chinese name 爱雍 ∙ 乌节 which translates to “Love and Harmony on Orchard” and two lucky winners will stand to win an exclusive limited edition ION Orchard Issey Miyake Bao Bao bag on ION Orchard WeChat app. ION shoppers who uses WeChat in-app ‘Shake Shake’ function will unlock exclusive offers and discounts at selected ION Orchard stores and receive a notification on their phones with mobile-exclusive offers available at some 40 digital mall directories. UnionPay International serves the world’s largest cardholder base by providing quality, cost-effective and secure payment services to over 5.4 billion Cardholders worldwide. UnionPay U Plan 银联 优计划 - UnionPay International app for cross-border marketing platform and the first of its kind in the world, bringing together issuers, acquirers, travel agencies and merchants to market products and services was also introduced at Singapore Golden Week 2016. With “U Plan”, travellers on UnionPay International app will be able to download electronic discount coupons at participating outlets located at their designated travel destinations prior to travelling and enable travellers to have more visibility over the deals that they can enjoy to enhance their overall travel experience at their travel destinations. 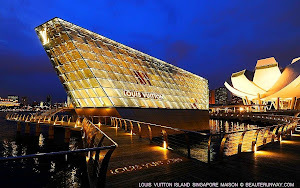 Singapore is among the first markets in the world to launch the UnionPay U Plan where Valiram Group brands like Michael Kors, TUMI, Kate Spade, Victoria’s Secrets and Bath & Body Works are U Plan first partners in Singapore. UnionPay cards in Singapore are issued by Bank of China (BOC), DBS Bank (DBS), Industrial and Commercial Bank of China (ICBC) and United Overseas Bank (UOB) in Singapore and are accepted at over 80 percent of retail, lifestyle and food and beverage establishments and almost all automated teller machines (ATMs) across the island. Shoppers can apply for UnionPay credit and debit cards at the banks to enjoy the privileges at Singapore Golden Week and to use UnionPay U Plan app. 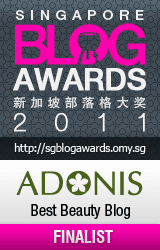 Visit www.singaporegoldenweek.com.sg for more information on Singapore Golden Week 2016, www.unionpayintl.com for UnionPay card application and services as well as www.ionorchard.com for ION Orchard shopping and dining guide, tourist privileges, membership rewards and promotional events. Amal Clooney was spotted wearing designer Jimmy Choo Andie Sunglasses in New York City. The acetate round frames and Gold Silver crystal detailing reflect the Andie eyewear retro inspiration glamour. Jimmy Choo sunglasses and designer optical frames are available at JIMMY CHOO boutiques worldwide, in Singapore at Paragon located at 290 Orchard #01-42A/43/44, The Shoppes at Marina Bay Sands 2 Bayfront Avenue, Shop B1-118, Singapore , online www.jimmychoo.com and leading optical retailer. 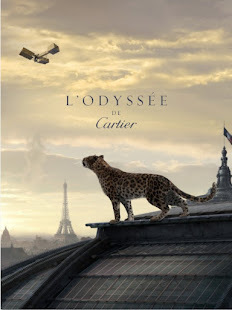 Jimmy Choo luxury designer eyewear are produced and distributed by the Safilo Group. 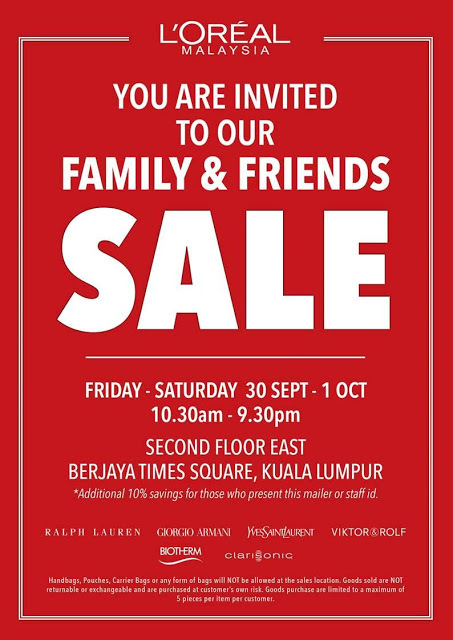 L'Oreal Malaysia Luxury Family & Friends Beauty Fragrance Sale offering Yves St Laurent, Giorgio Armani, Ralph Lauren, Viktor & Rolf, Biotherm and Clarisonic will be held at Berjaya Times Square, second floor east, Kuala Lumpur on September 30th and October 1st (Friday and Saturday) from 10.30am - 9.30pm. 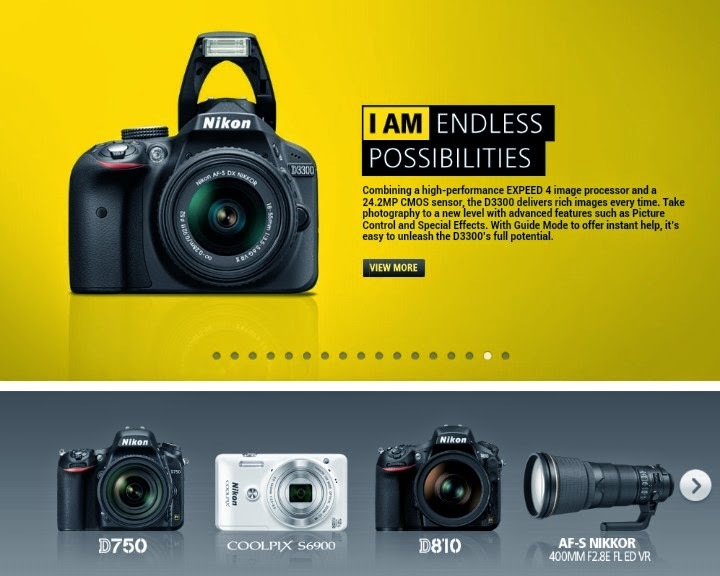 Present the mailer to receive an additional 10% savings. Goods sold are not refundable or exchangeable and are limited to 5 pieces per item per person. Handbags, pouches, carrier bags or any form of bags will not be allowed in the sales location. Happy Shopping ! 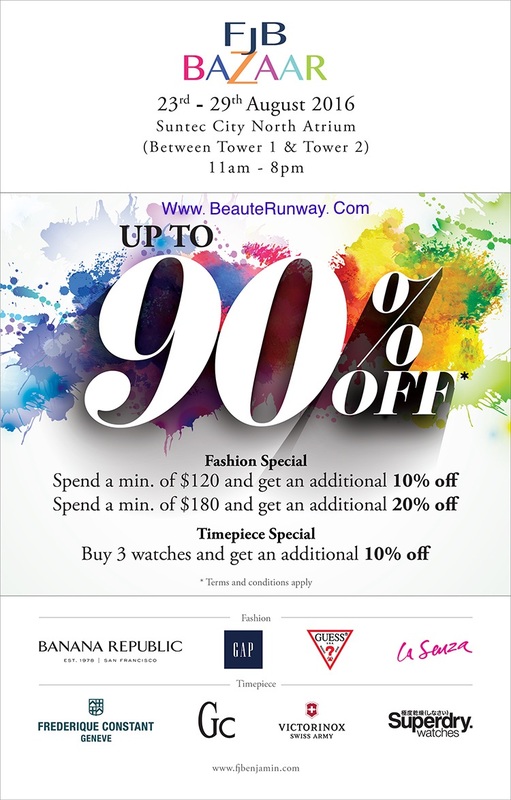 FJ Benjamin group's FJB Bazaar sale 2016 offers Banana Republic |Gap |Guess |La Senza |SuperDry plus watch brands - Victorinox Swiss Army | GC Guess Collection watches |Guess |Frederique Constant |Nautical |Smart Turnout |Superdry Watches and more at Suntec City North Atrium (Between Tower 1 and 2) on 23rd – 29th August, 2016 from 11am to 8pm, at up to 90% off for the popular lifestyle fashion brands. Spend a minimum purchase on lifestyle fashion brands at FJB Bazaar sale and get an additional 10% off with $120 , additional 20% with $180 or purchase 3 watches and get additional 10% off ! Bring your friends and family and shop for birthday gifts, Christmas presents and New Year wardrobe. 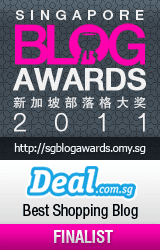 FJ Benjamin sale price starts from $5 ! FJ Benjamin sale fans will be familiar with the huge discounts and great offers but be prepared to queue for payments with the massive crowds like Club 21 bazaar sale. Happy shopping at FJBenjamin fashion group . 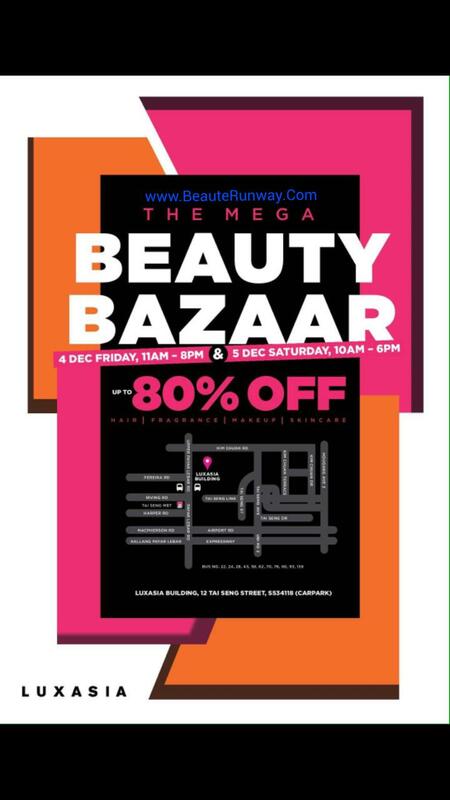 LUXASIA Warehouse SALE 2016 offers Cosmetics makeup | Fragrance| Perfume| Skincare| body care| hair care, coffret sets and limited edition brands collectibles at up to 80% OFF. 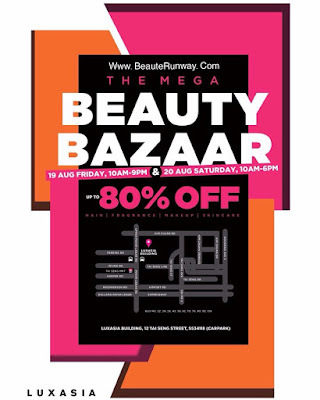 Brands and prices for Luxasia Beauty Bazaar Warehouse SALE 2015 / 2016 should be similar to previous Luxasia Warehouse Sale 2010, Luxasia Warehouse SALE 2011, Luxasia Warehouse Sale 2012 and Luxasia Warehouse Sale 2013. Happy Luxasia SALE Hauling. 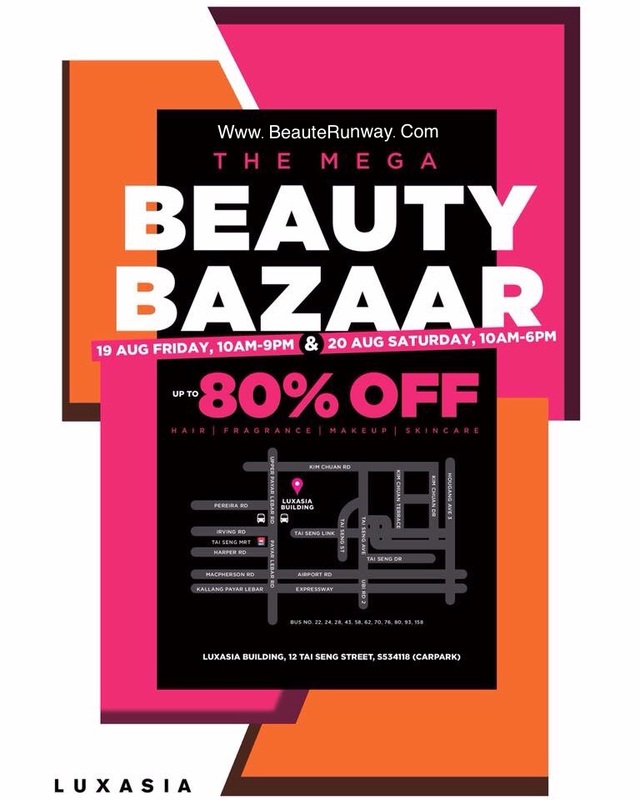 LUXASIA Warehouse SALE 2016 Mega Beauty Bazaar offers Branded Fragrance| Skincare| Beauty| Cosmetics| Makeup| Perfumes| Bath and body care| hair care and more at up to 80% OFF at Luxasia Singapore Office located at 12 Tai Seng Street, Luxasia Building Carpark, Singapore 534118 on Friday 19 August, from 10am to 9pm and Saturday 20 August from 10am to 6pm, accessible within 10 minutes walk from Tai Seng MRT, Circle Line or SBS bus no. 22, 24, 28, 43, 59, 62,70,76,80, 93, 159. 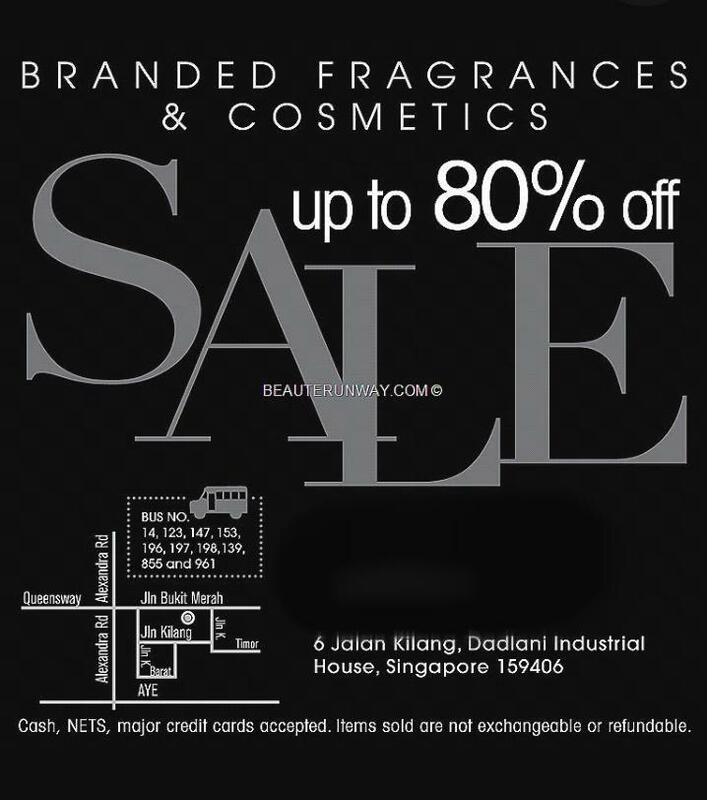 Luxasia BEAUTY, Cosmetics and hair care Brands SALE : Selected products and range only - Burberry| Guerlain| Stila| Anna Sui| Becca| By Terry| La Prairie| Philosophy| Carita| Decleor| Dr.Perricone| Darphin |Aveda| Jurlique| IPSA | Leonor Greyl Lancaster| Phytomer| Payot | REN| Evelom | Strivectin | Albion Exage Exica and more. Do share this link with your friends and join BeauteRunway.Com FaceBook https://www.facebook.com/pages/Beaute-Runway/209643823320 for more updates on beauty, fashion and shopping and Luxasia Warehouse Sale 2016 ! LUXASIA Warehouse SALE 2015 Mega Beauty Bazaar offers Branded Skincare|Fragrance| Beauty| Cosmetics| Makeup|Perfumes| body care| hair care and more at up to 80% OFF at Luxasia Singapore Office located at 12 Tai Seng Street, Luxasia Building Carpark, Singapore 534118 on December 4th Friday from 11am to 8pm and December 5th Saturday from 10am to 6pm, accessible within 10 minutes walk from Tai Seng MRT, Circle Line or SBS bus no. 22, 24, 28, 43, 59, 62,70,76,80, 93, 159. Prestige products branded perfume, skincare cosmetics warehouse sale offer Brands like Cartier | Givenchy | Loewe | Versace | St Dupont| Moschino | Juicy Couture| Ferrari | Paris Hilton |Jessica Simpson | Banana Republic| Nine West |Mango| Guess| Morgan| GAP| FCUK / Armand Basi/ Acqua Colona / Clean /Antonio Banderas etc are available at up to 80% OFF from December 2nd to 5th December 2015, 10am to 7pm at 6 Jalan Kilang, Singapore 159406. 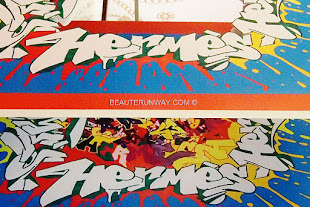 Check out my previous Prestige Sale Haul Part I & Paul & Joe Givenchy Sale Haul Part II , Prestige Paul & Joe and Givenchy Sale Haul, Warehouse Sale 2010 Price list and Warehouse Sale 2011 Price List. 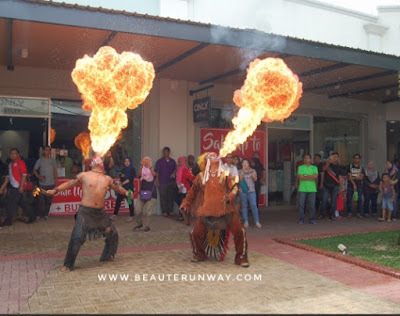 Visit Beautiful Trengganu 2016/ 2017 Tourists Attractions, island hopping Perhentian Island, Redang beach and Pulau Tenggol, Hotels Resorts Homestay accommodation, Heritage, Culture, local arts and crafts, traditional Malay Food Cuisine showcase of Malaysia’s east coast state at Plaza Angsana Mall, Johor Bahru. Chief Minister of Terengganu YAB Dato’ Seri Haji Ahmad Razif Abdul Rahman, Chairman of the State Tourism and Culture YB Dato' Haji Mohd Jidin Bin Shafee, State Tourism, Domestic Trade and Consumerism Datuk Tee Siew Kiong and Director General Of Tourism Malaysia Dato'Mirza Mohd Taiyab were among the VIPs who officiated Beautiful Trengganu 2016 showcase. 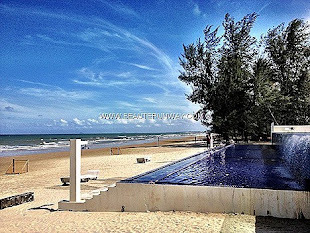 Renown for beautiful scenic islands, pristine beaches, scuba diving, rich cultural history, art crafts and tantalizing traditional cuisine, Terengganu welcomes travellers, offering over 300 hotels, resorts and homestays to experience the uniqueness of Trengganu. Terengganu tax free island, Pulau Bayas tax free zone in Tasik Kenyir is targeted to be fully operational in September 2016. Beautiful Trengganu 2016 showcase at Plaza Angsana Mall tentage parking areas from March 23-27 , 10am to 10pm daily, consists of Tourism Trade Fair focusing on Hotels resorts homestays, eco and sport tourism, Trengganu cuisines kitchen offering traditional local food like Nasi Dagang, Keropok Lekor, Otak-Otak, Pulut Lepa, Ketupat Sotong and Consumer show with Trengganu small and medium entrepreneurs from food, agriculture like melon fruits and rice to heritage crafts and textiles like batik and songket. H&M Conscious Collection 2016 Exclusive edition is sophisticated and artistic with inspirations from Musée des Arts Décoratifs in Palais du Louvre, Paris Haute Couture treasury fashion key statement pieces from the last three centuries. Julia Restoin Roitfeld is the face for H&M Musée des Arts Décoratifs 2016 Spring Summer Conscious Exclusive Collection of contemporary French painterly artistic designs with historic charm for H&M greenest and most glamorous collection. H&M 2016 Conscious Spring Summer exclusive Collection consists of curated fluid elegant silhouette and alternates between delicate dresses, arty kaftans and sculpted skirts. Prints add a dash of colours and surprise, transforming dresses into trompe l'oeil paintings or sculptures reminiscent of the artistic paintings in Paris Palais du Louvre. H&M Conscious Collection 2016 long ball gown with a plunge neckline features a marble draping print while a fluid dress is adorned with a hint of Botticelli's Three Graces primavera. Short dresses and painter blouses ooze nonchalant sophistication, creating an electric and eclectic short-circuit between present and past. Made with innovative sustainable materials like organic silk, hemp, recycled linen and Tencel® blends, H&M Conscious Collection 2016 uses ornate embellishments including beautiful beads and rhinestones made from recycled glass. H&M is the first fashion company to use Denimite, a material made out of recycled worn-out denim for this eco friendly collection. “One of my favourite pieces from the collection is the mini asymmetric dress that was inspired by a painting by Gustave Moreau. I love the mix of a conscious, sustainable fabric and an old painting. It’s great to be able to have sustainable clothes that still look red carpet-ready,” says Julia Restoin Roitfeld, fashion director, model and the face of the H&M campaign. H&M wedding dresses from Conscious Collection 2016 Spring Summer are dreamy designs of lightness and embellishment on sustainable conscious organic lace and cotton for beautiful brides. H&M Conscious 2016 Exclusive Collection will be launched at Musée des Arts Décoratifs Fashion Forward - 300 years of Fashion opening exhibition at Palais du Louvre, Paris with Chief Curator Pamela Golbin and Hollywood A-listers celebrities wearing H&M eco friendly design red carpet ready collection. H&M Spring Summer Conscious Collection 2016 is available in 180 H&M stores worldwide and H&M online shop from April 7. 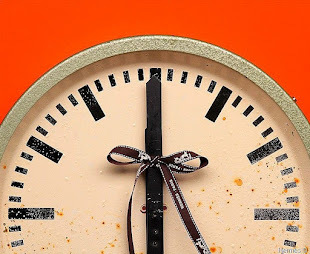 For more information on H&M Conscious, do visit www.hm.com/conscious and H&M FaceBook for more updates. Shiseido 2016 Sale offers discounted NARS, Cle de Peau Beaute, Shiseido Skin care and makeup, ettusais, and Japanese mass beauty brands Majolica Majorca, Aqualabel, Senka, ZA , Japanese haircare brands Ma Cherie, Tsubaki, Joico | Zotos and Shiseido Professional hair care, gifts with purchase bags and travel size skincare products. 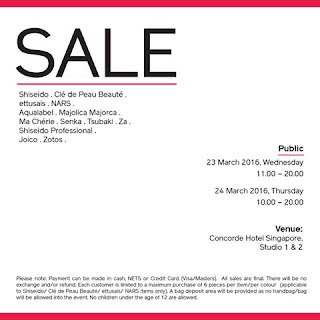 Shiseido Spring Summer 2016 Sale is located at Concorde Hotel Singapore, Studio 1 and 2, located at 100 Orchard Rd, 238840 (next to Orchard Plaza, between Somerset and Dhoby Gaut MRT) on March 23, 11am to 8pm & March 24, 10am to 8pm (Wednesday and Thursday). Payment by MasterCard | Visa| Cash and Nets, all purchases are non-refundable or exchangeable. Excited Shiseido fans usually start to queue about an hour before the Shiseido Warehouse sale starts to be among the first to enter the sale for best buys. Read Previous Shiseido Sale updates,. Shiseido NARS beauty makeup cosmetics haircare sale 2016 features great discounts and beauty bargains. Do share this with your friends and Happy Shiseido SALE hauling. 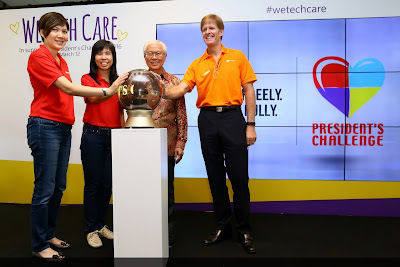 The 16th President’s Challenge was launched at Microsoft We Tech Care 2016 by President Tony Tan Keng Yam. In line with Microsoft’s mantra to empower every person and organisation on the planet to achieve more, We Tech Care 2016 includes regular fund-raising to rally the local startup community, non-profit organisations and partner organisations where Microsoft showcased the power of technology in creating a smarter and more inclusive Singapore. The President’s Challenge goes beyond financial support to address today’s social needs, promoting community interaction and integration, providing beneficiaries support, skills and confidence to lead dignified and meaningful lives. For every S$10 donated to President’s Challenge, S$2 will be channelled to the President’s Challenge Silver Volunteer Fund and Singapore government will match dollar-for-dollar donations, capped at S$20 million. Held at JTC LaunchPad @ one-north, Microsoft We Tech Care 2016 half-day event created opportunities for all ages to learn coding and computing through IT workshops and talks; connected current generation of innovators with the next through startup discovery tours; raised awareness of innovative technologies to solve societal issues; supported digital inclusion programmes through partnerships with non-profit organisations; and fostered Microsoft employees’ skill-based volunteering efforts. 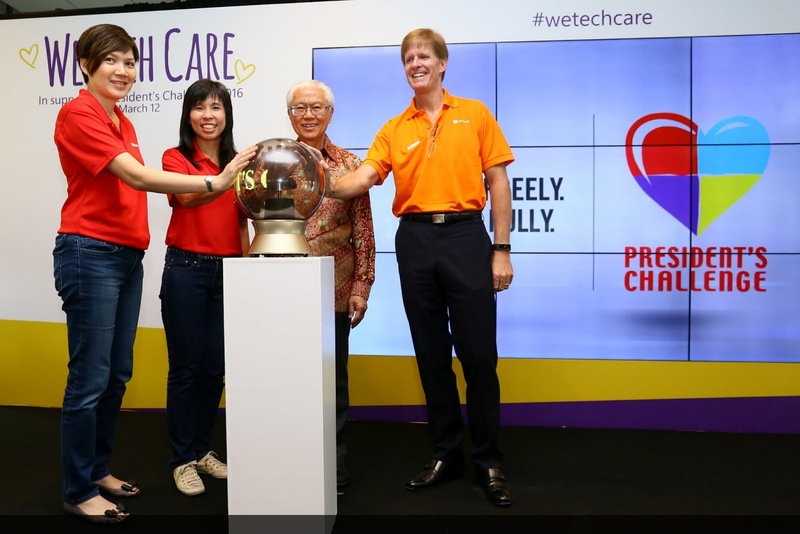 We Tech Care 2016 raised a total of S$268,963 from Microsoft and its employees, partners and members of the public. 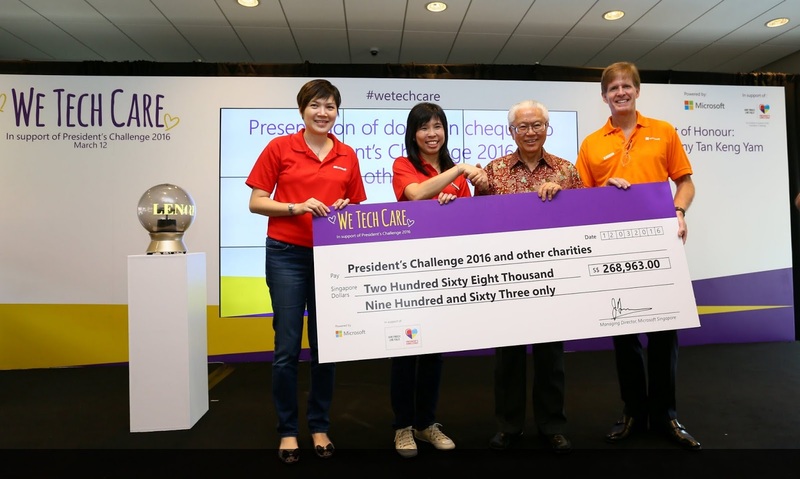 President Tan accepted the donation cheque from Microsoft on behalf of President’s Challenge. Funds raised through President’s Challenge 2016 is for 57 beneficiaries across various sectors and charities supported by Microsoft. We Tech Care 2016 was supported by Gold Sponsors - Accenture Technology Solutions Pte Ltd and Avanade Asia Pte Ltd; and Bronze Sponsors - Challenger Technologies Ltd, Datapulse Technology Limited, and Dimension Data (Singapore) Pte Ltd. In-kind corporate contribution was also provided by Embrya and JTC Corporation. 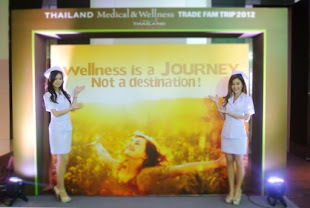 For more information, visit www.microsoft.com/singapore/WeTechCare and www.pc.org.sg. 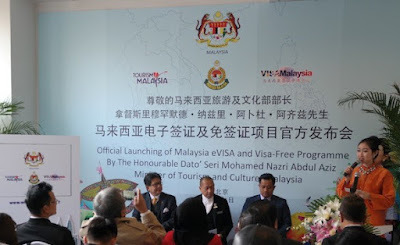 Malaysia e-Visa programme and visa exemption by the Malaysian government for China tourists was officially launched by the Minister of Tourism and Culture Malaysia Dato’ Seri Mohamed Nazri Abdul Aziz. Malaysia e-Visa system will be carried out in three phases starting with Chinese nationals residing in Mainland China, followed by the second phase for Chinese nationals residing outside Mainland China and the final phase which incorporates other countries like India, Myanmar, Nepal and Sri Lanka. Chinese tourists could submit their application with relevant documents for Malaysia e-Visa at https://www.windowmalaysia.my/evisa the official website for Malaysian e-Visa application. A processing fee of USD25 (RM128/200 yuan) applies and upon visa approval, print the Malaysia e-visa at their convenience. The Malaysia e-Visa is for visitors travelling and visiting relatives and friends in Malaysia and limited to 30 days for a single entry to Malaysia within three months from the date of issuance of the e-Visa. Dato’ Seri Mohamed Nazri also announced the appointment of Shila Amzah, Malaysian singer-songwriter, actress, record producer and winner of Asian Wave, a Chinese reality singing talent show as Malaysia’s Tourism Ambassador in China. The Tourism Ambassador Programme is an initiative by the Ministry of Tourism and Culture through Tourism Malaysia to engage prominent, well-established and influential Malaysians in various fields to promote the country. 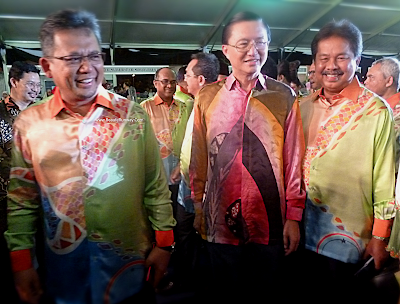 Malaysia National Sales 2016 Grand Launch of 1Malaysia Super Sale (1st-31st March), 1Malaysia Mega Sale Carnival (15th June - 31st August) and 1Malaysia Year-End Sale (1st Nov -31st December) was officiated by the Deputy Minister of Tourism and Culture Datuk Mas Ermieyati Samsudin at Nu Sentral, Kuala Lumpur in the presence of tourism industry players, retailers and Tourism Malaysia’s Mega FAM programme international media and travel agents participants from Singapore, Brunei, Cambodia, India, Indonesia, Laos, Myanmar, Philippines, Seychelles, Sudan, Thailand and Vietnam. Malaysia is an award winning shopping destination and secured the second top position in the Muslim Travel Shopping Index for the category of the Best Shopping Destination 2015 for Muslims in the OIC Destination. 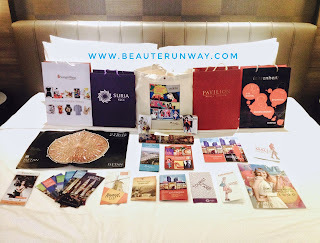 Kuala Lumpur - Best shopping destination in Southeast Asia and among the top in Asia. Malaysia's capital city, Kuala Lumpur is the best shopping destination in Southeast Asia and among the top in Asia. 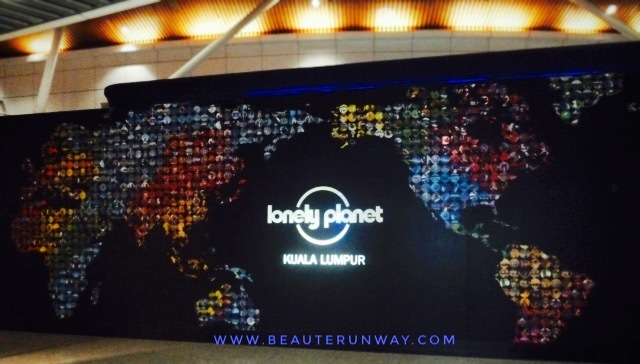 Expedia UK named Kuala Lumpur as top 5 in shopping destination for 2016. 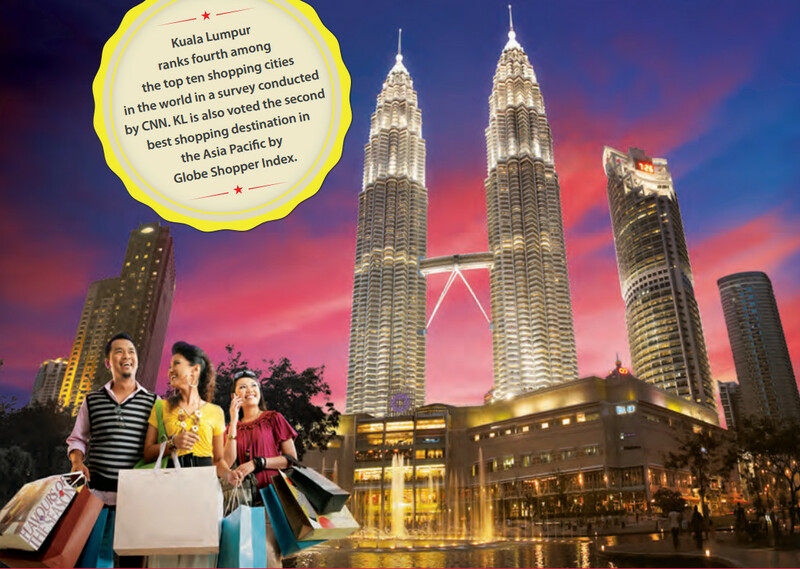 CNN ranked Kuala Lumpur as the world’s 4th Best Shopping City, after New York, Tokyo and London for two consecutive years – 2012 and 2013. Globe Shopper Index ranked Kuala Lumpur as the 2nd Best Shopping Destination in Asia Pacific in 2012. Tourism Malaysia’s new Shopping Malaysia Maps with directional details around major shopping hubs in the country are shoppers must have. Four separate maps covering the shopping precincts of Kuala Lumpur, Selangor and Putrajaya, Penang, Johor & Melaka and Sabah & Sarawak included various places of interest for tourists to visit complete with a list of Malaysia Shopping malls. Malaysia’s Tourist Refund Scheme information can be found in Tourism Malaysia Shopping Malaysia Maps. A step-by-step guide is given to help tourists claim GST refund of 6 per cent on shopping spend of at least RM300, including GST in a single invoice or receipt. Malaysia Tax Refund validation counters are located at Kuala Lumpur International Airport (KLIA) and KLIA 2 plus airports in Subang, Kuantan, Senai, Kuching and Kota Kinabalu where approved refund agents are available to help tourists with their GST refund claims. Malaysia Super Sale 2016 fringe activity, Tourism Malaysia Shopping Hunt 2016 was flagged off by Tourism Malaysia’s Director General, YBHg. 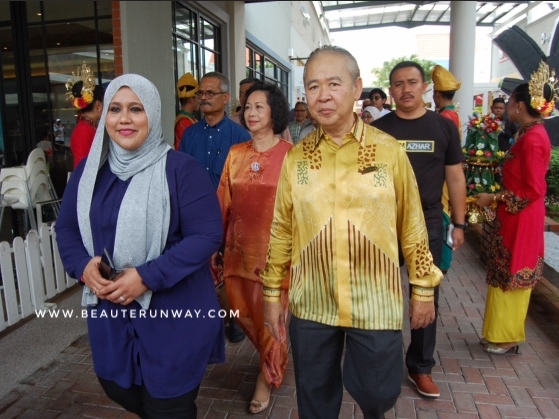 Datuk Seri Mirza Mohammad Taiyab and shopping mall representatives at Malaysia Tourism Center in Jalan Ampang. 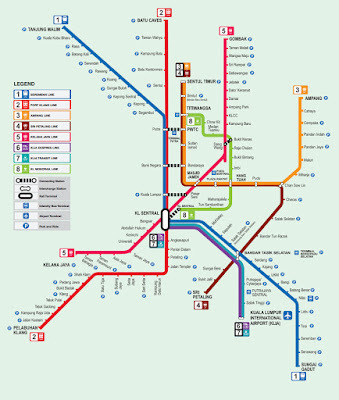 1) Kuala Lumpur city center shopping malls : KLCC to Bukit Bintang starting from Suria KLCC, Avenue K, Pavilion KL, Starhill Gallery, Fahrenheit88, Lot 10, Sungei Wang Plaza, Berjaya Times Square and Nu Sentral in KL Sentral. 2) Kuala Lumpur shopping districts : Jalan Tuanku Abdul Rahman where Quill City Mall, Sogo, Jakel Mall and local stores beckons, Central Market (Pasar Seni) and Sunway Putra Mall at Putra World Trade. 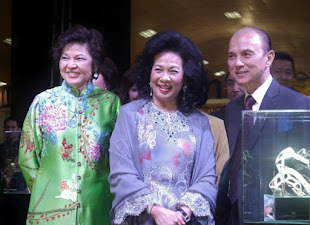 Malaysia Miss SHOPhia Shopping Icon and shopping slogan “Super Bargains, Fantastic Experiences” was unveiled at Malaysia National Sales Grand Launch 2016. Miss SHOPhia will be featured in international and domestic shopping campaigns, videos and television commercials plus shopping and food blog where she shares the best deals and bargains in Malaysia. 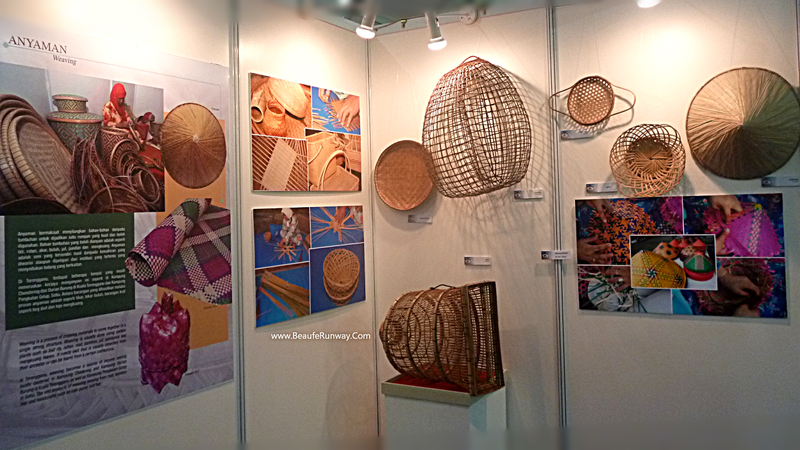 Like facebook.com/missshophia, Instagram : @miss_shophia Twitter: missshophia for more Tourism Malaysia Shopping news.